Ahhh, Prime Warframes, the envied combatants of the battlefield. But what about the latest addition – Limbo Prime? We already knew it was coming thanks to a leak through a console update, but are we looking at yet another fantastic addition to the Prime collection that you should be buying into it? 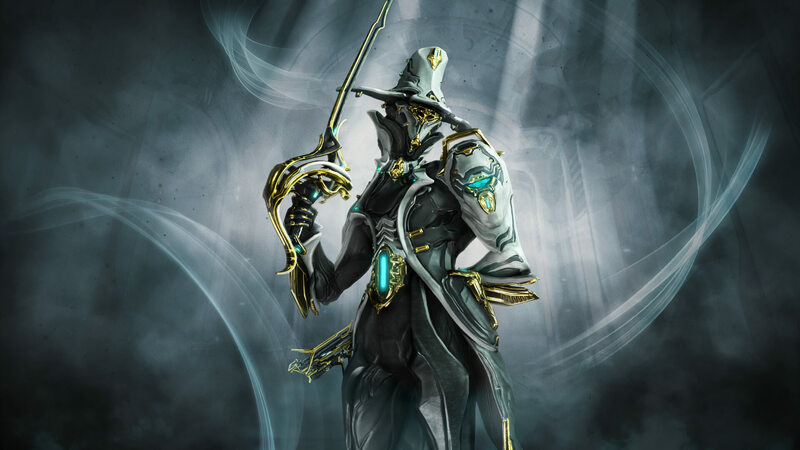 With Limbo having been improved over the years and no longer potentially interfering on team play thanks to its abilities, it makes sense that Limbo Prime is the next variant we receive for a Prime Warframe and as expected it comes boasting higher shield, armour and energy stats, as well as two additional Polarities and a higher Mastery Rank of 4. As with all Warframes, Limbo Prime comes with some exciting new abilities, the best of which is without a doubt Limbo Stasis. But before we get into that, let’s talk about the new weapons included with this latest Prime variant. First up is the incredible and rather devastating Pyrana Prime, a small gun that packs one hell of a punch. Pyrana Prime is certainly one of the best sidearms you’ll find in Warframe and should you have yourself a submachine gun or an assault rifle you’ll soon find the Pyrana Prime proving to be the perfect addition to your loadout. With bullets firing at the rate of an automatic weapon and widespread firing, this is one weapon that will mow down hordes in seconds. When compared to its standard version, the Pyrana Prime does have a slightly slower firing rate and a little less damage output, but with critical hit chance proving better, a higher accuracy stat and a bigger magazine, this is certainly a much better version to be running into battle with. Next up is the Destreza Prime and whilst it comes with lower Puncture stats, and is slightly slower than the standard version, the Destreza Prime is definitely an improvement with armour proving no test for its incredible damage output. The Destreza Prime also boasts higher attack ratings, and has an improved chance of critical hit and status effects. Unfortunately though, unlike the Pyrana Prime it’s not quite at the top of its class and there are still several other weapons that do the job slightly quicker and just a little bit better. But it’s still a decent addition for those wanting a stable melee weapon. As you would expect, there are also some new abilities to enjoy, and it goes without saying some of these make for some interesting battles. Banish allows players to unleash a wave of Rift energy towards the enemy, damaging them whilst pushing enemies and allies out of the current plane of existence. When applied to targets or allies, Banish can exhibit various different effects, and targets under the effects of Banish can still collide with one another even if they are in different dimensional planes. Fortunately, with Banish casting only proving a one-handed action, players can still reload, charge, shoot or manoeuvre whilst casting it, and with it already proving rather effective, this is certainly one of the better Prime abilities. After the standard Limbo proved difficult to use with Stasis active, it’s good to see that it has now been rectified and players can finally play together co-operatively rather than seeing Stasis make the other roles near useless. When used, this ability freezes rift-bound enemies, allowing for teams to converge and attack with ease making for a fantastic ability should you and your team be surrounded by swarms of enemies. What’s more is that players don’t need to be in a rift to activate it meaning Stasis can be used on enemies at any point, making for an all-round devastating ability. This one is another incredibly clever ability and anyone using Rift Surge will find all nearby Rift-bound enemies surged with Rift energy, before transferring it to any nearby enemy outside the rift when they are killed. Thankfully, the transfer range isn’t affected by your Ability Range, meaning this can have an incredible impact if used on groups. Unfortunately to recast it you do need an unaffected enemy to come into the Rift and whilst your cast range and Rift transitional damage is not affected by mods, it does still allow for Impact damage when entering or leaving the Rift plane. For me this isn’t one that is needed too much – with Stasis the preferred option – but it’s certainly not the worst ability out there. Calling it the best ability out there is a stretch, but Cataclysm is certainly one you don’t want to ignore. Casting this brings a violent blast of void energy that creates a small rift plane before releasing another deadly blast on its closure. This rift plane is created via a swirling void of energy that slowly collapses in on itself meaning anything inside will find various effects applied. At the end of the day, if you’re one to run into battle without caring for your surroundings, or simply love to watch the enemies suffer as you cast ability after ability, Limbo Prime is the variant for you. It is an impressive addition to the Warframe experience however the asking price is a without a doubt a little high for what’s on offer. If you’re determined to get hands on we suggest waiting for a sale before jumping into the world of Warframe with Limbo Prime.